Genuine Italian calfskin leather. 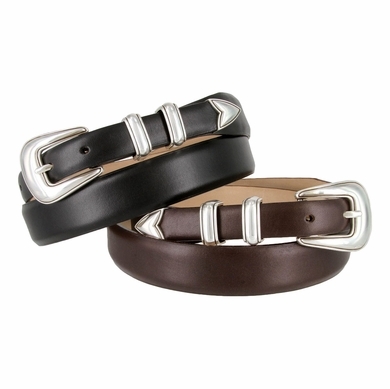 Sterling silver Buckle set. 1 1/8" wide tapering to 3/4" wide. For questions or to order call Toll Free 1-888-692-3587.